If your 2015 business objectives include more growth, and thus more hiring, consider creating a structured and repeatable hiring process. Traditionally, as a business grows in size and success, it becomes necessary to create policies and procedures to maintain or improve the quality of the product or service offered to the customer. Why should hiring be any different? Competitors can replicate your product or service but they cannot replicate your people. Your internal team is what drives the success of your business. Choosing the right players for your team is integral for continued success. 1. A structured process is easier to replicate and repeat company wide, ensuring the quality of your interviewing and hiring. 2. Once fully adopted and practiced throughout the company, the process itself will shorten the time it takes to hire. 3. 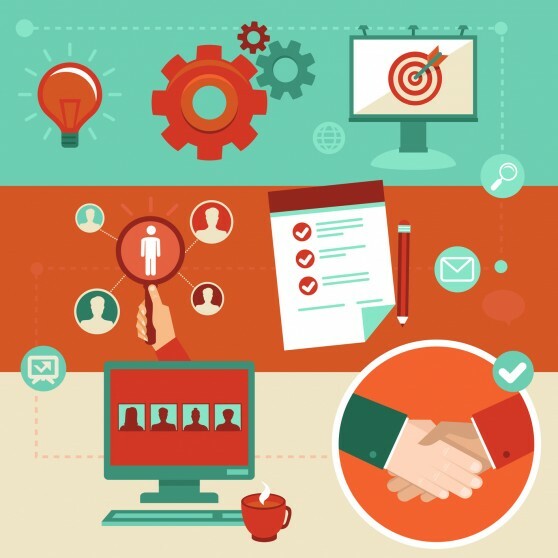 A quality hiring process eliminates confusion, error, and costly legal mistakes in hiring. Format the process in a manual, even if it’s short. This allows your team to go back and review it when necessary. But what makes a great hiring process? Work with your internal team to define what this role is responsible for, what this person is going to be held accountable for, and what sort of traits an individual must possess to be successful in this role and at your company. Use this information to create your job posting. Conduct phone interviews with the top 5-20 candidates (this depends on how large your applicant pool is). Review the resume, validating the claims they’ve made. Create a short list of good behavioral interview questions that ask for specific examples. Assess your top 3-5 candidates with a trusted assessment tool. A good assessment digs beneath the exterior of a good interviewee and reveals who he is at his core. If assessments aren’t in the budget, have the hiring manager conduct a thorough in-person interview. Even if you use an assessment, conduct a thorough in-person interview. Invite your top candidates to interview at your location with your team. Using your trusted team to interview candidates allows you to see how well they mesh with company culture and multiple opinions may pick up on things you hadn’t noticed before. Interviewing with your team has another plus: the team feels invested in the success of the new hire because they had a say. Doesn’t buy-in feel good? Once you’ve established a great hiring process you can rely on, hiring becomes simpler and more effective. In turn, your company becomes more successful.